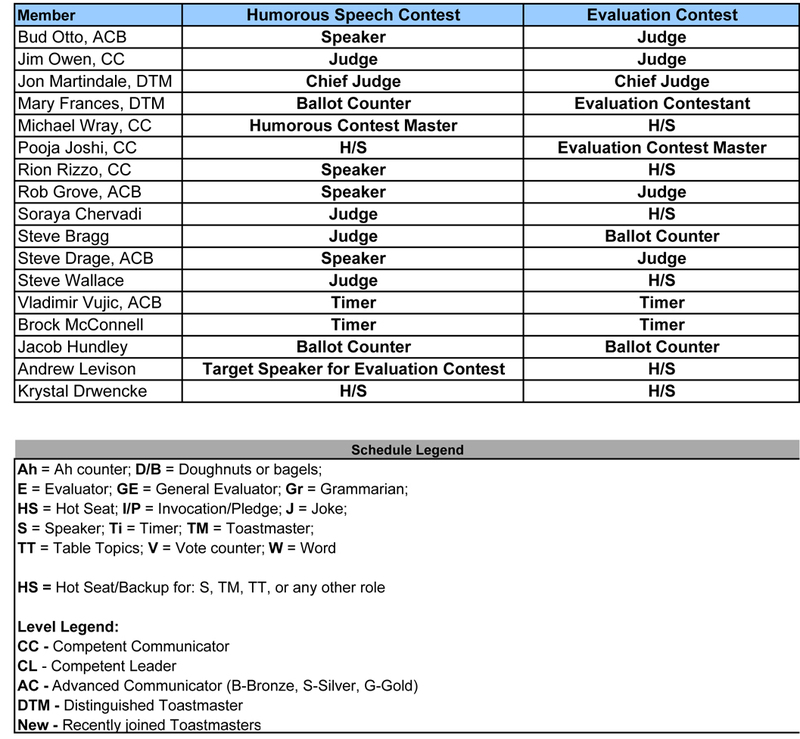 It's finally here, the 2011 Humorous Speech and Evaluation Contest! 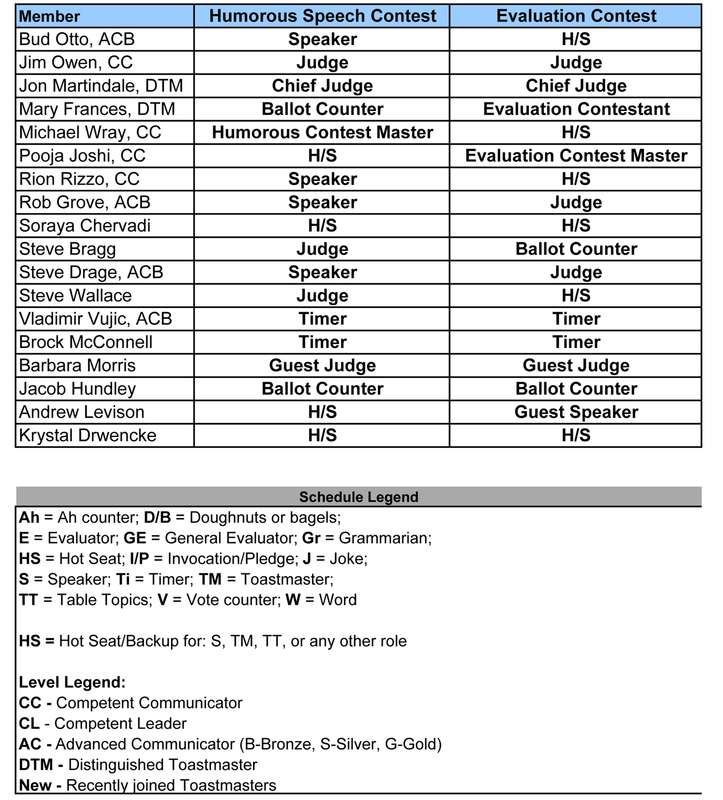 There are many roles to fill, many great speeches to hear, and many insightful evaluations to appreciate. Make an extra effort to attend this coming Thursday the 14th, to support and participate. 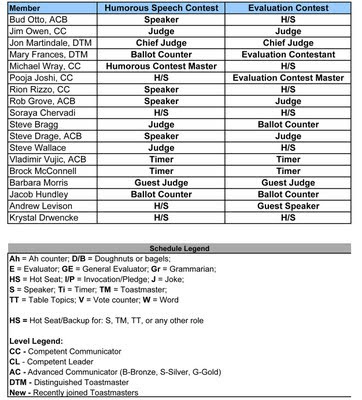 We especially need a few more volunteers to participate as contestants in the evaluation contest. See you then!